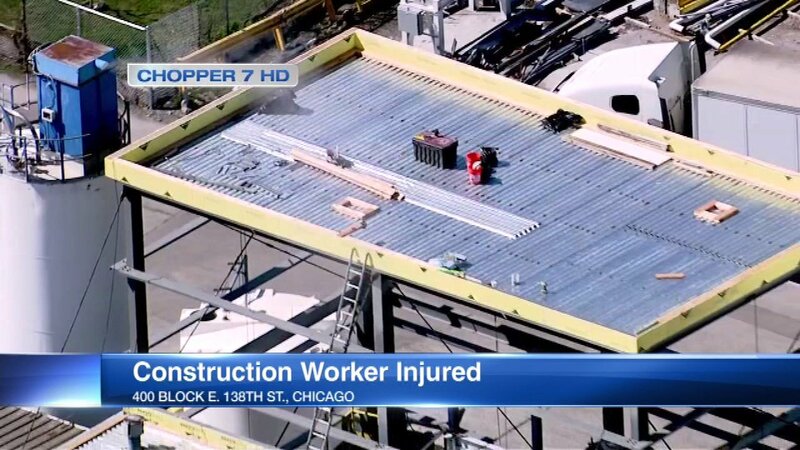 CHICAGO (WLS) -- A construction worker is described as "awake and alert" after a close call on Chicago's Far South Side. Fire officials say the 47-year-old man fell from the steel superstructure of a new building in the 400-block of East 138th Street in the Riverdale neighborhood. He landed 20-25 feet below on a roof deck. Firefighters used a bucket to bring him down from the deck. He is now being treated for serious injuries.